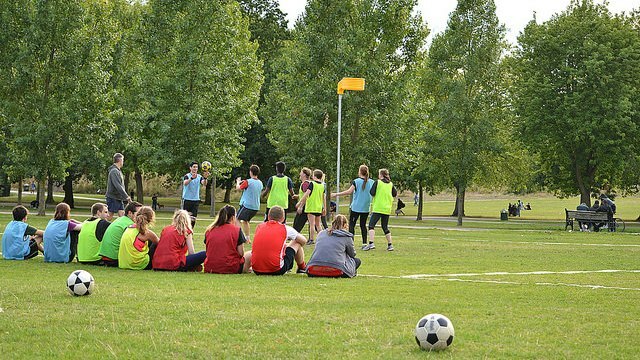 Highbury Korfball Club is heading outside this summer to play fun, friendly (and free!) korfball in Finsbury Park. The format is simple, we put everyone there in mixed teams of 4 (2 men & 2 women on each team) to play quick fire 4-on-4 matches in a round-robin tournament, and each week there will exciting prizes to be won. It’s an excellent way to meet people, to pick up a fun new activity, or for korfball players moving to London, to get involved with a London team. We are building on the success of last summer which saw over 80 individuals come to the sessions with around 20-30 people there each week – it’s a lot of fun, and great to play some relaxed korfball. Best of all it’s completely FREE. Newcomers and beginners very welcome – this is the perfect time to get into korfball in London! We have new people coming along literally every week, you can drop us an email (info.highburykc@gmail.com) for more details or just show up. Get there for 7:30pm, games to start shortly after. You’ll find us in the middle of the park – near Manor House station. If you’re new to korfball, look out for the yellow posts! We are storing the posts at The Finsbury pub (336 Green Lanes, London, N4 1BY) – if you are able to please meet there at 7:15pm to help carry the posts over. Social: when the matches are finished (at about 9pm) we will head to The Finsbury pub for post game refreshments, chat & food. ◂ Highbury’s 20th Birthday – Who’s Attending? !